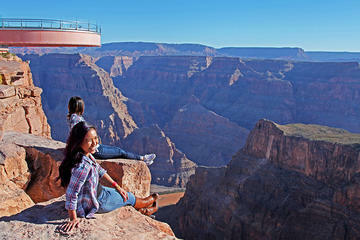 At the Grand Canyon Skywalk, the fast-track access and included souvenir photo save you time and money. This Grand Canyon experience begins with a hotel pickup in a luxurious stretch limousine with transportation to the pre-flight lounge. After boarding an Airbus helicopter, enjoy music, narration, and pilot commentary about major landmarks and historical points of interest along the way. The 45-minute flight passes over Hoover Dam, the beautiful mountain and sandscapes of the Mojave Desert, the turquoise waters and sandstone shorelines of Lake Mead, and the winding path of the mighty Colorado River. See the incredible landscape of the Grand Canyon from your flight, which one of the seven natural wonders of the world. Your helicopter lands at Eagle Point at the top of the canyon's West Rim. Experience breathtaking views from the Grand Canyon Skywalk, a glass walkway nearly 4,000 feet (1,219 meters) above the floor of the canyon. Skip the line, and head straight to the bridge to enjoy the view.  A professional photo will be taken and included along with a complimentary souvenir bag. Also, take time to explore this Native American village, and meet members of the Hualapai Tribe. Learn more about their storied history and culture as residents of the Grand Canyon. On the return trip, take in more of the sights and sounds from the sky, including the beautiful Las Vegas Strip, before a final limousine hotel drop-off.